"What makes this disc work so well is the sense of restraint or calm at the centre with well-selected eruptions which never reach an extreme." 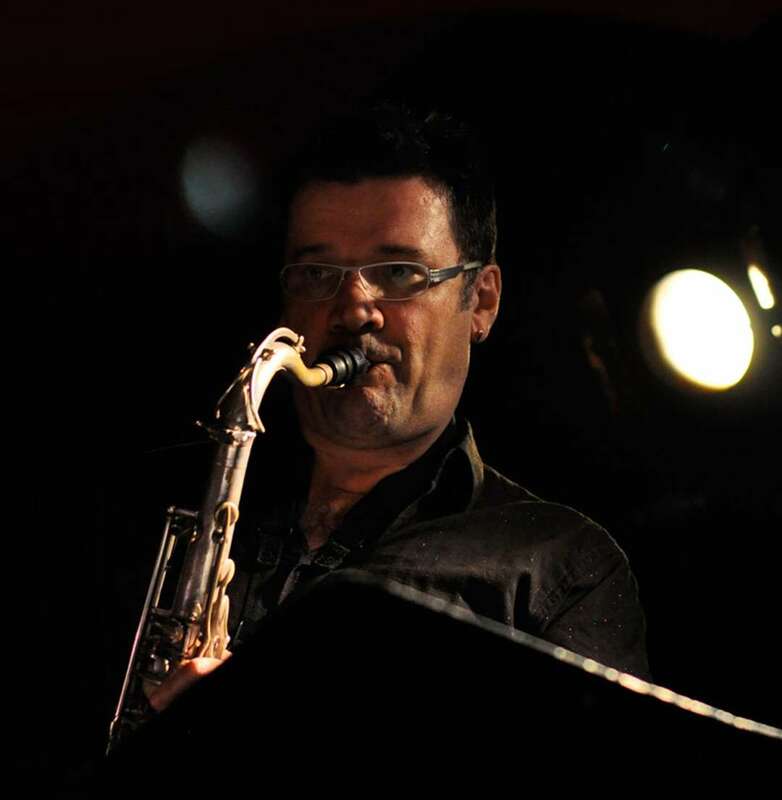 Robert Burke is Convenor of Jazz and Popular Studies at Monash University. (He was head of the Sir Zelman Cowen School of Music from 2011 – 2014). An internationally acclaimed improvising performer and composer, Rob has released 12 CD’s under his own name and has composed and performed on a further 300 CD’s. His sensitive and balanced perspective has allowed Rob to traverse many different styles and this has, in part, been expressed as collaborative performances with international leaders in classical, jazz and experimental music. His embrace of many genres of music and the clear expression of his diversity in his role as an educator, researcher and performer, has given rise to a vibrant dialect that resonates through his students and also his performances. 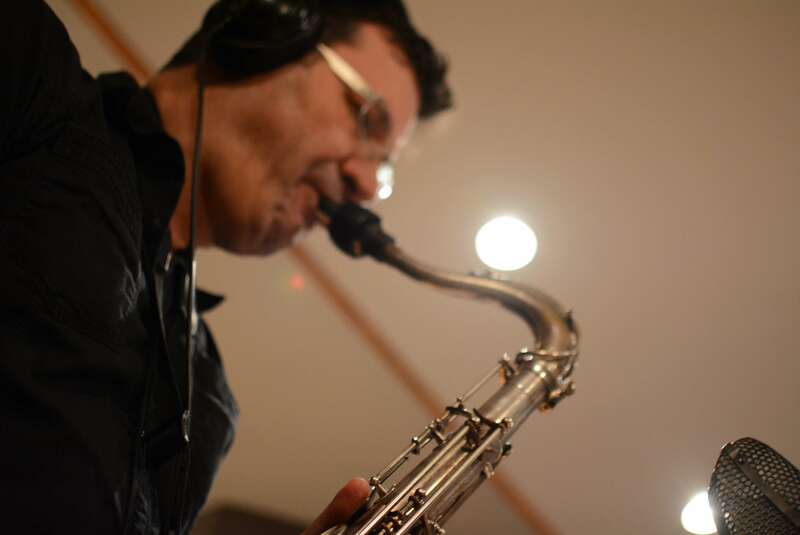 Rob has also embarked on numerous musical sojourns within Australia and overseas and has established research, educational and artistic ties with institutions, researchers and musicians in Italy, USA (New York), Japan and Brazil. Collaborators include: Professor George Lewis, Columbia University – NYC; Professor Raymond MacDonald, Edinburgh University; Dave Douglas, USA; Enrico Rava, ITL; Hermeto Pascoal, Brazil; Kenny Werner, USA; Mark Helias, USA; Ben Monder, USA; Tom Rainey, USA; Tony Malaby, USA; Nasheet Waites, USA; George Garzone, USA; Paul Grabowsky; Tony Gould; Debasis Chakraborty, India; and Paulo Angeli (Italy). His background as a classically educated musician also enables him to traverse many musical genres and he is in a unique position to speak to students and colleagues about their requirements/concerns and provide balanced outcomes. His ongoing research focuses on issues relating to how we respond to improvised jazz: artistically, critically and personally. His work includes studying the processes and outcomes of music participation and music listening. 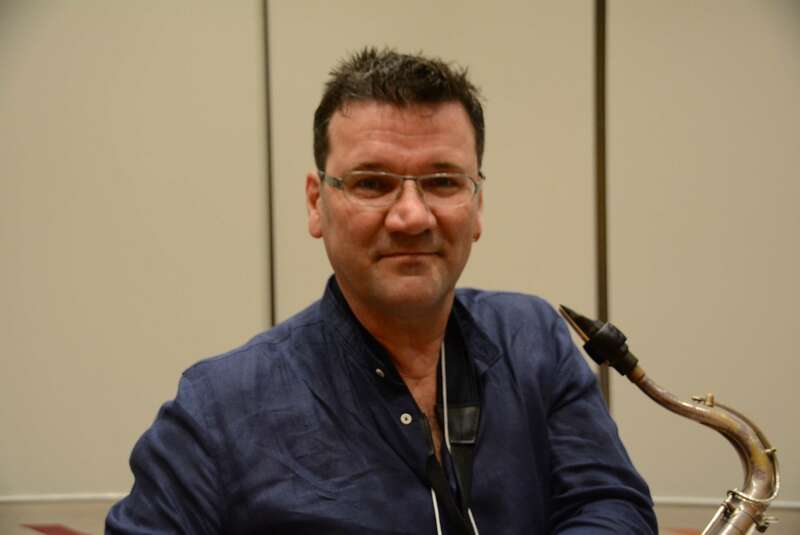 Identifying a need for the facilitation of a research group in the Oceanic area, Rob instigated and is currently the president of the Australian Jazz and Improvisation Research Network (AJIRN). The focus of AJIRN is the interdisciplinary study of jazz and improvisation in Australia and New Zealand through the presentation of an annual conference. Robert Burke has also enjoyed a diverse and wide-ranging career as a performer, composer and educator in music. His main focus as a performer has been in jazz and popular music, including eight years performing and composing with Kate Ceberano (including a top-ten Australian hit) and fifteen years with ARIA award-winning band The Black Sorrows. Rob has performed, recorded with and contributed compositions with pop and jazz artists such as John Farnham, Ice House, Real Life, Vika and Linda Bull, to contemporary jazz projects with leading artists including Tony Gould, Tony Floyd, Doug De Vries, Slava Gregorian, Geoff Hughes, Nick Haywood, Stephen Magnusson, Don Burrows, Tony Floyd and Mike Nock. Rob has convened the AJIRN conference 2016-2018 and Perspecives in Artistic Research in Music (Monash) 2015. A list of Rob’s releases can be found at Monash University’s website. Rob, a Jazzhead recording artist, has released 12 Cds under his own name or leader of the ensembles. (over 200) Recently, Rob released a duet album with Tony Gould titled Here(Jazzhead 2009), the third in a series of such collaborations and a quartet album Live at Bennetts Lane – Jazzhead (2011). In 2014 recorded a CD in New York titled Do True with pianist Kenny Werner, bassist – Johannes Weidenmueller and drummer – Richie Barshay (USA). In 2015 (again recorded in New York) The Power of the Idea was recorded and released with bassist Mark Helias, drummer – Nasheet Waits (USA), pianist – Paul Grabowsky, trumpeter Paul Williamson and trombonist Jordan Murray. Ray Anderson (USA), Paul Grabowsky, Jordan Murray, Paul Williamson, Eric McPherson (USA), Dan Peck (USA) recorded in July 2015 – New York (to be released 2019). Rob’s research focus is in Practice-Based Artistic Research. A practising musician, Rob is currently co-writing a book on Practice-Based Artistic Research (Idea Chasing: Ego and Agency in Free Jazz) with Dr Andrys Onsman. Rob initiatedAJIRN (Australasian Jazz and Improvisation Research Network) and convened its first conference in November 2016 and in 2017 in association with the Melbourne International Jazz Festival. Rob is also a member of the MSAsteering group for ARiM (Artistic Research in Music) also convening 2-day symposium in Artistic research in Music in 2015. Rob has had extensive teaching experience giving workshops locally and internationally. In 2000 Rob was invited to conduct improvisation classes at Monash University’s School of Music. Rob subsequently developed an autonomous jazz course for the School of Music and in 2003, was appointed Coordinator of Jazz and Popular Studies. This jazz course is now regarded as the leading course for jazz education in Australia, offering both comprehensive practical training and strong academic qualifications, and providing students with exceptional learning and performance opportunities in Australia, Italy and the United States (New York). Rob has been artist-in-residence at Universidade Estadual de Campinas – Unicamp (Campinas), Musica de Scuola de Brasilia (Brasilia), Souza de Lima School of Music (Sao Paulo), New York University, Lulea University of Technology (Sweden), Huddersfield University (UK), Australian Embassy of Japan etc.